One polished, stamped, and tested silver necklace mounted with: 41 genuine faceted aquamarines weighing approximately 19.95 carats and 82 genuine round diamonds weighing approximately 1.39 carats. 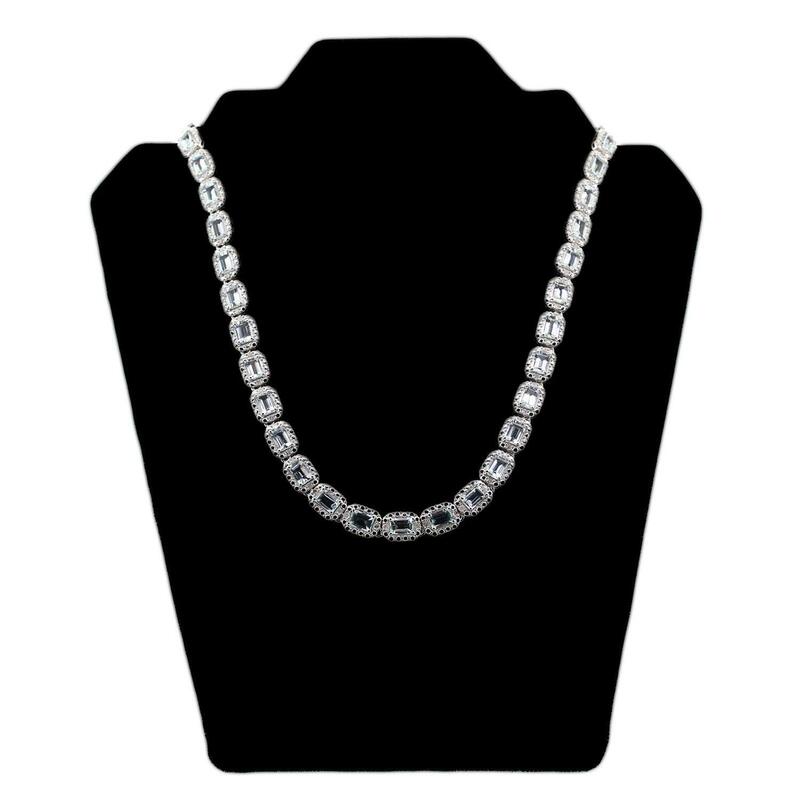 The necklace measures 17.25 inches in length and is finished with a tension lock clasp and double safety clasp. Condition is new, excellent workmanship.